The proposed north-south high speed railway project is expected to be completed by 2045. The growing demand for electricity and investment in Vietnam is catching the attention of renewable energy investors. However, existing procedures to resolve disputes seem to be giving investors trouble. A majority of credit institutions in the country expect an upward trend in their business in 2019 after gaining good results last year, according to a State Bank of Vietnam (SBV) survey released recently. Da Nang’s international airport administration, in cooperation with Chubu Centrair airport, Japan, plans to launch daily direct flights connecting the central city and Nagoya later this year. Work on three and eight sections of the North-South expressway will start this year and the next respectively. Will more FDI create another real estate bubble? The strong inflow of FDI into the real estate sector could be a problem rather than good news, analysts say. Hanoi and Ho Chi Minh City remained among the global Top 10 most dynamic growing cities in JLL’s Short-Term City Momentum Index (CMI) 2019, which tracks socio-economic and commercial real estate growth in 131 cities over a three-year period. 2018 closed after 24 gasoline price adjustments. Currently, E5 Ron 92 and diesel 0.05S prices are kept at VND16,270/litre and VND 14,900/litre, respectively, in line with the world oil and gas price movements. The deferred equitization of State-owned enterprises was partly the result of legal obstacles to define the value of firms. One of the world’s largest international cruise ships, carrying about 2,800 international visitors and 1,080 crew members from Hong Kong, docked at the SP-SSA International Terminal (SSIT) in the southern Vietnamese province of Ba Ria – Vung Tau on Friday morning. 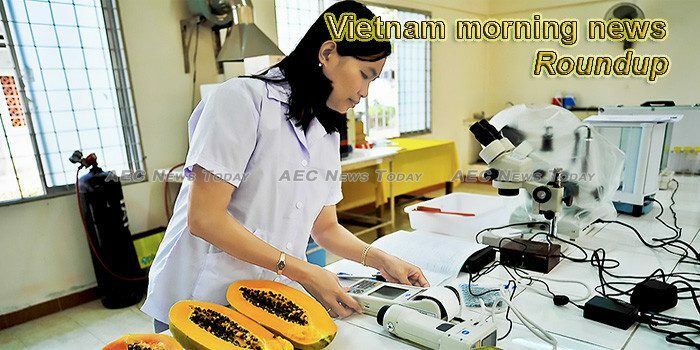 Provinces and cities in the Mekong Delta have set to develop high-quality agriculture combined with eco-tourism, services and industry as their ambitious targets this year. The Ministry of Industry and Trade has issued Circular No. 03/2019/TT-BCT on the certificates of origin (C/O) rules in the Comprehensive and Progressive Agreement for Trans-Pacific Partnership (CPTPP), which will take effect from March 8. The rising number of Japanese enterprises in particular and those from elsewhere in general coming to Vietnam to conduct market research, investment, and technology transfer in the agriculture sector over recent years has come from efforts to attract more FDI, assisted by the country’s desire for innovation and commitments to streamlining procedures. Japanese conglomerate Mitsui has committed $100 million in Vietnam-based seafood processor Minh Phu’s upcoming private placement. Jan’s organic processed food products, the only such Vietnamese brand, were again on display at the annual Organic Lifestyle Expo 2018 held in Japan last October and are familiar among Japanese consumers, having been exported to the country for a number of years. The Hue ancient capital city in the central province of ThuaThien-Hue served more than 67,870 tourists, including 48,180 foreigners during Tet (Lunar New Year) holiday from February 2-8, up 177 percent year on year. The Southern Key Economic Zone needs special policies to attract foreign direct investment (FDI) and improve linkages between localities to ensure sustainable development, experts have said. Analysts believe banking credit growth will ease off next year, but since lending activities will mainly be focused on the economy, growth will not be affected. When Chau Van Kham abruptly stopped responding to messages on a trip to Vietnam in January, his prolonged silence led to a seeping dread. A buffalo painting contest for the Doi Son Tich Dien (ploughing) Festivalwas held on February 10, or the sixth day of the Lunar New Year in Doi Son commune, Duy Tien district, the northern province of Ha Nam. AC Energy Inc., the energy platform of the Ayala conglomerate, is focusing on its over 700-megawatts (MW) renewable energy developments in Vietnam and Australia before finding its fifth market for its regional expansion.